AVAILABLE DEPARTMENTS Departments open upon request. BOARDING Host family, 2 times per day. SPECIFIC EXCHANGE CONDITIONS Same as AEMPPI EC. Quito is amazing and offers a wide variety of tourist places to come and go. 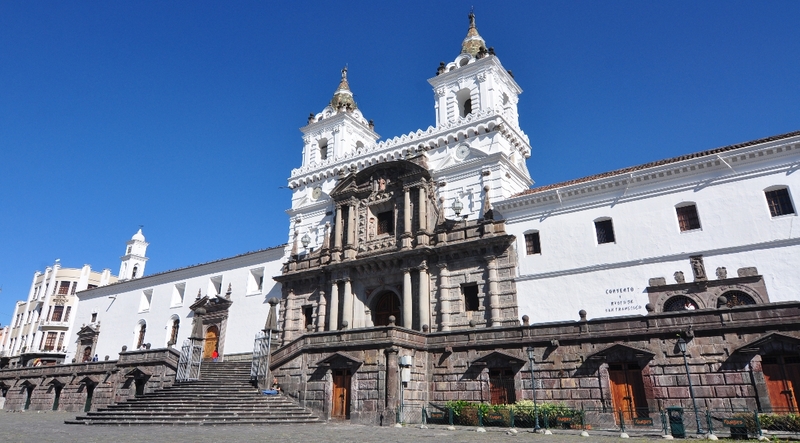 The places tell us about the history of Quito, its widespread culture, beliefs and diversity. The places tell us about its life styles, single daily, nights, enjoyment options and its assets. The city's crown jewel is its 'Historical Center,' or 'Colonial Town of Quito' a Unesco World Heritage Site packed with colonial monuments and architectural treasures. Everyday life pulses along its handsomely restored blocks with 17th-century facades, picturesque plazas and magnificent art-filled churches. 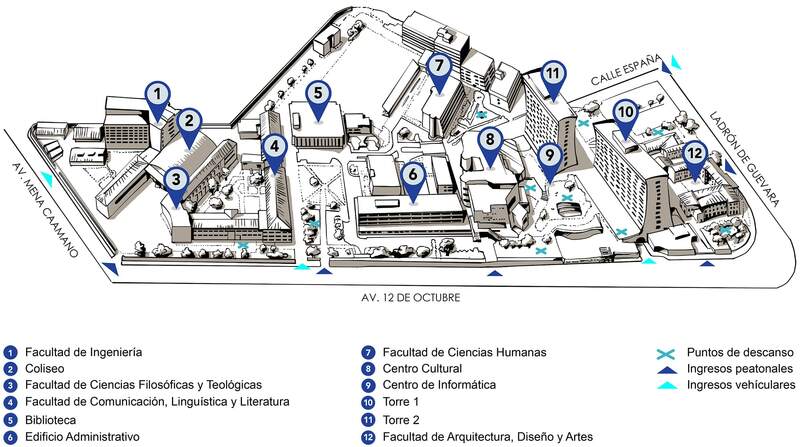 Pontifical Catholic University of Ecuador (PUCE) is considered as an educational reference in the national and international scope; its fundamental commitment is to serve the community with professionals of high academic and human quality. The PUCE Medical School is an accredited academic institution, recognized by the international and international community, as a model of medical education, for its capacity for research, academic, ethical and scientific management. Its mission is to form integrally medical professionals with capacity for leadership, Christian values, bioethical principles, scientifically qualified and committed to health and life. We count with the support of the National Public Health Ministry and we are available to practice in all the public hospitals in the city and most of them are really near of the University. As a university we have simulated laboratories and research labs where you can work at. Host family, 2 times per day. Every student that comes to our university will be accommodated with a host family of one of our members. It is important that you respect your hosting family and their rules. To have a good experience. Transport in Quito is relatively cheap and easy. The small blue buses are called populares and cost 25 cents. 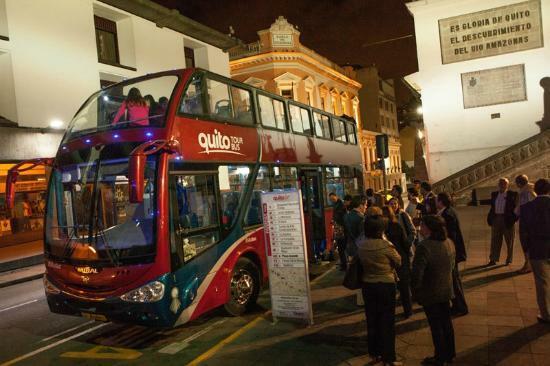 There are also buses (interparroquiales) that go to towns and villages just outside of Quito. The fare depends on the distance. All taxis are yellow. The minimum fare is 1,5 dollar. At nighttime prices go up and fares have to be negotiated in advance, altought the minimun at nigth is 2 dollar. Visit the Historic Center of Quito at 5 meters high to enjoy a panoramic view of the city illuminated, with a stop in the traditional street of the "Ronda". In this time you can walk through this narrow street, home of painters, poets, writers and bohemians, also taste the famous "empanadas de viento"
The “Museo Del Banco Central del Ecuador” has the richest and most complete permanent exhibition of the intricate, diverse and unfinished Ecuadorian identity. 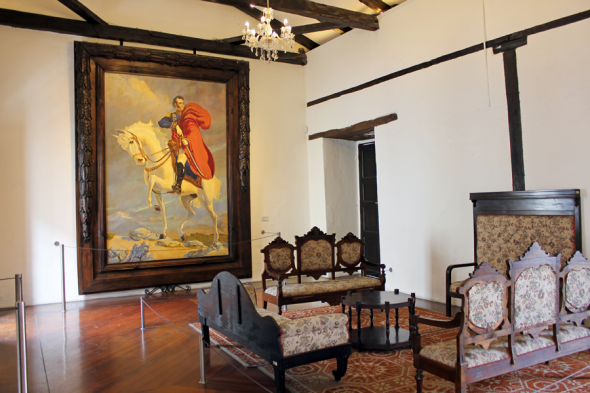 Sucre’s Home in Quito was the residence of Marshal Antonio Jose de Sucre, who led the last battle against the Spanish Empire in the Pichincha volcano on May 24, 1822. Quito’s Skyrail named in 2005 as the Teleférico, is the highest in South America. Starts at 2.950 m.a.s.l. and ends at 4.050 m.a.s.l. It reaches the top of Cruz Loma, adjacent to the Pichincha volcano. Quito Zoo is located in the valley of Guayllabamba, is the most diverse zoo of animals in Ecuador. The Church of San Francisco is the most extraordinary building work of Quito. It’s located in the historic downtown, at 477 Cuenca and Sucre Streets. In front is a square with the same name, which makes it an architectural masterpiece. The Government Palace is one of the most important attractions of Quito’s downtown. It’s the Government Palace, residence and official workplace of the Republic of Ecuador President. Quito's nightlife has many contrasts; wide-ranging forms are present in this city at night. One of these forms is the “farra” (spree and party), activity in which Quito inhabitants and foreigners converge, especially in an area, the heart of fun and festivity, Plaza Foch. It is one of the busiest malls in Quito; in it you will find libraries, Sony Center, shops of exclusive designers, delicatessens, as well as fast food. It is located in an important commercial area from where are done the majority of commercial transactions in Quito. Basilica del Voto Nacional is one of the most important examples of neo Gothic arquitecture in Ecuador. This attraction is located 13.5 km. from Quito, was owned by the Government of Pichincha Province and is practically a tourist and commercial city, the smallest of Ecuador. You will find videos about incoming's experiences in our country!! !